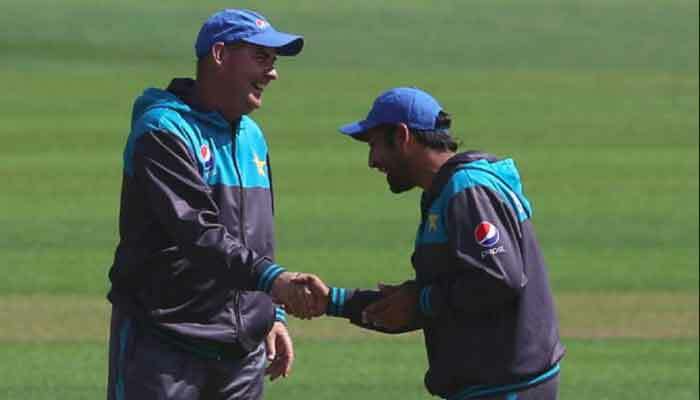 Johannesburg: Pakistan coach Mickey Arthur said on Monday he was determined to find a solution to his team´s problems against fast, short-pitched bowling. "We play Sri Lanka in the United Arab Emirates in September then we play Australia in Australia straight after that," he said. "We have to have our skill sets perfect to manage the bouncing ball. I want to get our batsmen into Australia three or four weeks early, to have camps there to get them ready." Olivier effectively ended Pakistan´s hopes when he took two wickets off successive balls in the third over of the morning. "This question always arises at the end of a series," said Arthur. "Sarfraz goes from strength to strength. He wants to lead from the front. I thought his wicketkeeping has been outstanding. What we need is to get a good core of leaders around him. If we can do that he´ll go from strength to strength." South African stand-in captain Dean Elgar praised the commitment of his players. "Three-nil is what we asked from the guys and we have achieved that. We are halfway to our goals for the season. We want to achieve the same feat against Sri Lanka (in February)." Elgar stressed, though, that South Africa did not take Pakistan lightly. "We know they are a good team. We are very fortunate to have that arsenal of four fast bowlers."